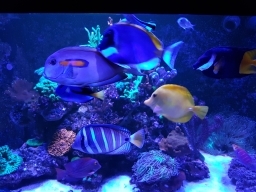 Hi I have 1 yellow tang my dt already I have just picked up another and am getting another again tomorrow evening.. will it be safe to add 1 tonight then other tomorrow evening or should I wait and add both tomorrow??? Yellows are funny things you either get a good one or an arse. Adding anthias after tangs - bad idea?